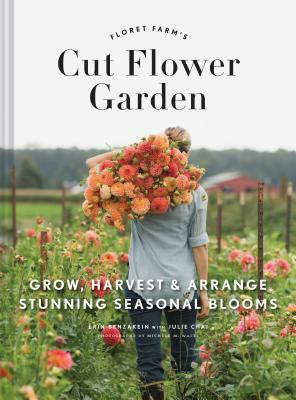 A stunning flower book: This beautiful gardening book and guide to growing, harvesting, and arranging gorgeous blooms year-round provides readers with vital tools to nurture a stunning flower garden and use their blossoms and cut flowers to create show-stopping arrangements. It makes a beautiful gift for any occasion, for friends, loved ones and gardening lovers alike! Julie Chai writes, edits, and hosts videos primarily on gardening topics. She lives and gardens in Los Altos, California. "The creation of this beautiful book is testament to Erin Benzakein's commitment to and passion for the local flower movement. The layout is simultaneously appealing and practical; Floret's signature lush photographs beautifully illustrate all stages of cut flower production and design through the seasons. Inspirational and accessible, this is a volume that should grace every flower farmer's bookshelf." --Judy Laushman, Executive Director, Association of Specialty Cut Flower Growers, Inc.